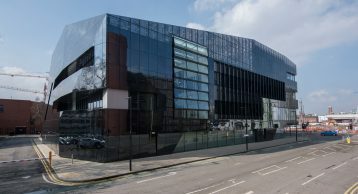 The National Graphene Institute is a research institute and building at the University of Manchester that is focused on the research of graphene. Construction of the building to house the institute started in 2013 and finished in 2015. 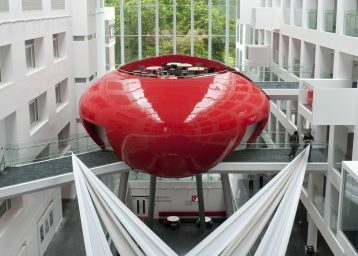 The five-story glass-fronted building provides 7,600 square metres of research space. 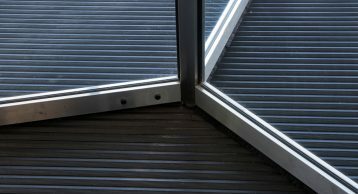 This includes 1,500 square metres of class 100 and class 1000 clean rooms, one of which occupies the entire lower ground floor to minimise vibrations. There is an addition of laser, optical, metrology and chemical laboratories along with offices, a seminar room and accommodation. 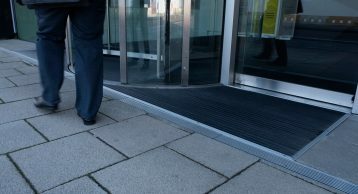 Find out how our Entrance Matting is playing a crucial role in minimising the ingress of dirt and moisture into the building. The top floor also includes a roof terrace, which has 21 different grasses and wildflowers designed to attract urban bees and other species of pollinators. 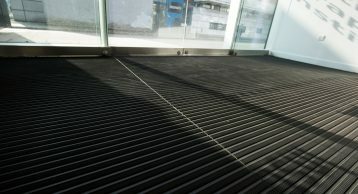 The outside of the building consists of a composite cladding, with an external stainless steel ‘veil’. The building faces on to Booth Street East and was designed by Jestico + Whiles. 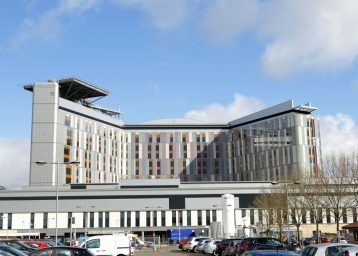 The designers have created a stunning exterior for the building, and rightly so with ground breaking scientific work being carried out. In such a location only the best would suffice. 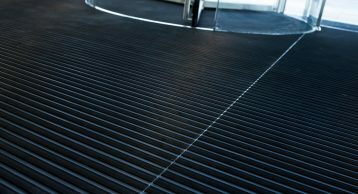 The state-of-the-art National Graphene institute is one building we are very proud to install our flagship INTRAform Entrance Matting with Black anodised frame and black rubber inserts to keep the dirt out and maintain safety in the building. INTRAsystems worked hand in hand to create a state-of-the-art installation that is both stunning and functional. 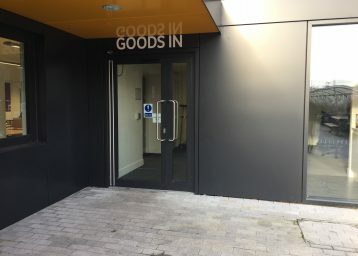 David Moodie one of our Specification Consultants says he was “privileged to work on this architecturally and visually impressive project with the architect and client, inspiring for the team to be able to see the INTRAform Black Anodised product with rubber inserts installed in the building”. 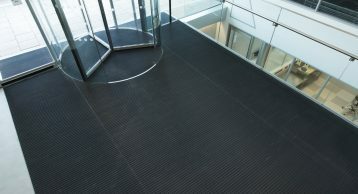 Call us today to know more about how you too can benefit from our Entrance Matting. With INTRAsystems you can specify with confidence, install with ease.